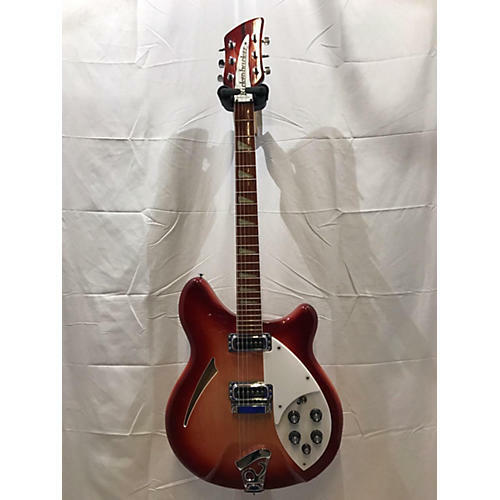 The Rickenbacker 360 broke all the rules of traditional styling when it hit in the 60s. Its special contour around the body perimeter is one of the most comfortable guitars of all time. Its body is carved from one piece of maple with a precisely fitted piece of maple for the back. The slim neck is made of maple with a rosewood fingerboard and dual truss rod. Its single coil pickups are their own high output pickups designed to be able to go from a clear clean to a biting overdrive.. This product comes with a case. Included accessories: Certificate of Authenticity.